A Thermostat can dictate up to 50% of your monthly energy bill. Having a Comfort Specialist from Superior Heating and Cooling help install a programmable thermostat can save you thousands of dollars over the life of your thermostat. Let us show you why we are the thermostat install experts of St Louis. Call us today at (314) 209-7500 or (636) 926-0000 today to set up an appointment for a thermostat installation. Each year, the Nest Thermostat saves over a billion kWh of energy throughout homes worldwide. Superior is proud to partner with the best HVAC products available on the market. There is no better example of this than the Nest Wifi Thermostat. This cutting edge smart thermostat is designed to learn your home’s heating and cooling habits based on your family’s personal schedules and preferences. What Makes Nest the Best Programmable Thermostat on the Market? An automatic sensor that makes the Nest Thermostat light up when someone walks past it. A leaf icon that shows up when your home is conserving energy, so users know the settings that increase the efficiency of their HVAC system. A mobile app that allows St Louis and St Charles homeowners view their savings by day, month, or year. Smart thermostat features which adapt to the outdoor weather as well as your daily schedule. This allows the Nest Thermostat to adjust the temperature of your home during times it knows you are not going to be inside your St Louis home. Alerts when the Nest Thermostat detects abnormalities in your HVAC system such as extremely cold temperatures or potential problems with your furnace. The Nest Pro Thermostat is only available through authorized installers of Nest due to the complexity involved with programming. All Nest Thermostat Installers at Superior Heating and Cooling are required to take advanced training on proper installation techniques. 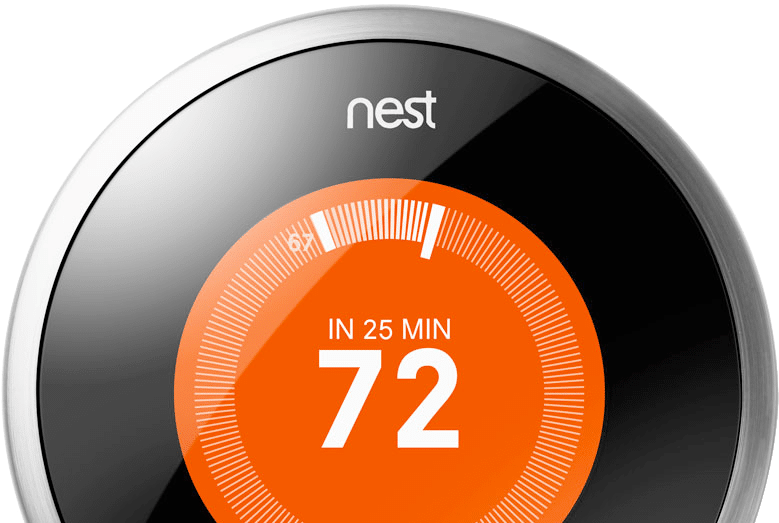 While Nests are hands down the best programmable thermostat on the marketplace, it is important to note that if not set up properly, you can potentially risk not unlocking all the full benefits of this fantastic smart thermostat. This applies to where the Nest is positioned to the thermostat wiring. Superior Heating and Cooling Service Technicians are trained and equipped to service and repair every brand of thermostats for St Louis and St Charles County residents. Brands that Superior Heating and Cooling service for thermostats include Honeywell, Nest, Trane, Carrier, Ecobee, Energate, Emerson, Computine, Venstar, American Standard, and more. If you have a broken thermostat, Superior Heating and Cooling can repair it. If you are experiencing problems directly linked to your thermostat and need thermostat repair for your St Louis area home, give the experts at Superior Heating and Cooling a call today. Our number is (314) 209-7500 or (636) 926-0000.